If you are visiting a museum for the first time, browse its website prior to your arrival. If it’s a children’s museum, which exhibits are most likely to appeal to your student? Where are they located within the museum? If it’s a museum that caters to all ages — including adults — which exhibits are child-friendly (i.e. those that allow touching or include a craft component)? Which are decidedly not? Are there docents who lead talks with students? Finally, does the website contain activity sheets or guide books that are specifically designed with parents and children in mind? Your initial research is an integral step in outlining your museum visit. Take care, however, to ensure that it remains an outline. As with most things in life, your plans may change unexpectedly due to museum events, crowd levels and even traffic. But there is an even more important reason to avoid planning every moment of your visit — interest drives engagement. 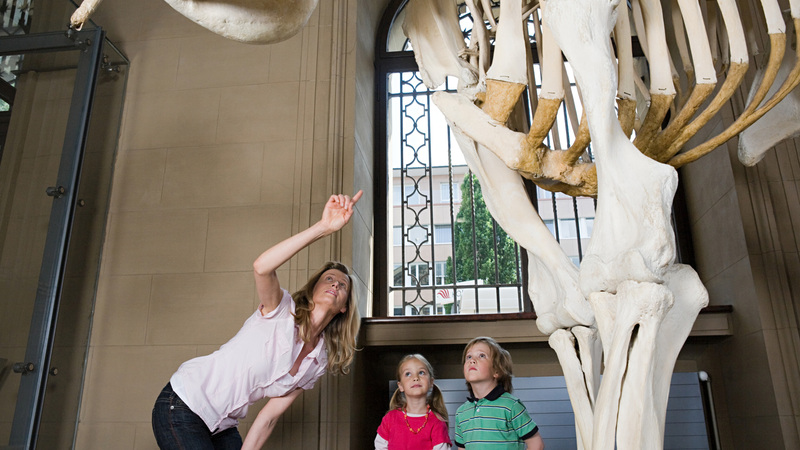 Your student is more likely to enjoy museums now and in the future if she can follow her interests. Consider offering options (i.e. “Would you like to see the dinosaurs or the mummies?”) for at least part of your visit in order to encourage curiosity and a passion for learning. One way to further encourage engagement is to ask questions. For instance, say you visit a planetarium with your child — one that has an exhibit on the different planets in our solar system — you might ask, “Do any other planets look like the one we live on? Which ones?” This question can activate your student’s observational skills, as well as lead to a discussion about the similarities and differences between various planets. Choose open-ended questions, rather than those that can be answered with a simple “Yes,” or “No,” and, whenever possible, relate what you are viewing to your day-to-day life. It can be tempting to extend your museum stay for as long as possible, especially given the often-high price of admission. But as the parents of young children know, longer is not always better. The excitement of a new experience and the opportunity to crawl, draw, investigate, make believe and run, can prove exhausting. To maximize your experience (and to minimize your stress), plan to visit the museum multiple times (perhaps with the use of free days), and to explore a limited section of the museum on each day. And, of course, remember to have a great time!